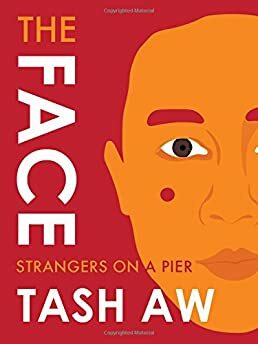 Largehearted Boy: Book Notes - Tash Aw "The Face: Strangers on a Pier"
Book Notes - Tash Aw "The Face: Strangers on a Pier"
Restless Books has launched The Face, an innovative series of short memoirs from a talented and diverse group of authors. Tash Aw's The Face: Strangers on a Pier traces the cultural past of his family across Asia. This song is drenched in a sort of mourning for lost potential – an intense longing for something beautiful that doesn't exist anymore. It's about the death of the Argentinian poet Alfonsina Storni who committed suicide by walking into the sea in 1938 after submitting her final poem, 'Voy a Dormir.' Her life was short, her work inspired by feminism and eroticism; you can hear restless energy and urgent sensuality in every line of the song. Kuala Lumpur has always had a huge rock scene, and throughout my school days, one of the dominant features in our lives was soft metal – foreign bands were popular, but locals acts like Wings were the ones people felt closest to. You could hear their tunes being strummed everywhere – in the school grounds after class, and at night in the small townships that we euphemistically called 'kampungs,' or villages, that lay next to rapidly expanding middle class suburbs. Often, the anger and nostalgia in rock songs spoke of a growing disaffection in the underprivileged urban classes – something that has intensified today. Although the current crop of indie rock bands in KL are much more polished than their predecessors of the '80s and '90s, that restlessness is still very much in evidence in the work of Hujan and others. Another huge influence on teenage music tastes in Kuala Lumpur – particularly for ethnic Chinese Malaysians – is Cantonese pop music from Hong Kong, and in my day, one of the biggest idols was Leslie Cheung, who committed suicide in dramatic fashion by jumping off the roof of the Mandarin Hotel in Central Hong Kong at the height of the SARS epidemic in 2003. His enduring appeal is due, I think, to his combination of innocence, optimism and fragility, which speaks very powerfully to an audience jaded by consumerism but unable to escape its clutches. This was the song that the cool kids at school were listening to – the ones who were already advanced enough to be reading American novelists and researching Liberal Arts colleges at the age of 16. I grew up in a household that spoke Chinese, Malay and English; this isn't unusual for ethnic-Chinese Malaysians of my generation. Old Chinese love songs – dripping with melodrama and sadness – were always in the background and many had their roots in Shanghai in the 1930s, when it was one of the world's most exciting cities (the wheel has come full circle today). Singers like Zhou Xuan and Wu Ing Ing were not simply huge pop stars, they became emblematic of cultural identity and pre-war nationalism. My parents worked overseas for a number of years, in Hong Kong and then Taiwan, for which they have kept a special affection. This was in the early seventies, when many parts of Asia were coming out of a long period of turbulence and hardship and just beginning to discover a sense of possibility tied to economic growth. Life was, for the first time, something people felt could be enjoyed. Tsai Chin came onto the scene about a decade later, and is still going strong today. Her style is classic, even old-fashioned, but seems to be representative of that part of Asian pop culture that has evolved organically, with a knowledge of its origins and evolution. I developed a minor obsession with Tom Waits while I was at university in Britain. I can't explain why. Maybe because I was under a lot of pressure to do well in my studies, but felt drawn towards failure. In any case I spent a long time in my room doing absolutely nothing; and in these moments, Tom Waits seemed like the perfect companion, as he does now. There was also a Serge Gainsbourg phase, but that didn't last. What did survive from my brief interest in Gainsbourg was this song that he wrote for Françoise Hardy. I love its clever internal rhyme and knowingly silly lyrics: a heart like silex/pyrex/EX-lover. I listened to this while travelling in France during university vacations; summers seemed endless; the country was so fantastically foreign to me – it couldn't have been more different from Malaysia, and the circumstances of my upbringing, in every single respect. At university I discovered James Baldwin and devoured everything I could find by and about him. I found a photo of him and Nina Simone – I'd recently arrived from Malaysia and had never heard of her – which I cut out and stuck to the wall above my desk. I began to listen to her every night, often while reading Baldwin – something I still do quite often these days, and which I consider my perfect evening in. Towards the end of the '90s I was writing my first novel and spending more time in Kuala Lumpur after some years of studying and living in Britain. It was a heady, turbulent time: two decades of steady, even spectacular economic growth had produced a privileged urban middle class but cracks were beginning to appear in this national success story. The Asian economic crisis of 1997 revealed social divisions, and all of a sudden, everyone – even the rich – were becoming politically aware. Hip hop seemed to express the unarticulated frustration that many felt in the big cities; people were hungry for music that encapsulated social realities. I was back in Kuala Lumpur at a time when everyone was talking politics – the deputy prime minister had just been arrested and there was a sense of change and conflict in the air, though no one really knew what this meant at the time. I was out with friends, and we ended up at a party at a very fancy apartment that belonged to a friend of a friend of a friend – someone I didn't know. I'd never experienced that kind of privilege in Malaysia before, didn't even know such power and money existed. People were drinking expensive champagne and all sorts of pills were being handed round. There was an unreal, hallucinatory quality to that night. Messy politics, easy privilege: I couldn't square the two things. Someone put on this song, from the album Black on Both Sides, which I'd been listening to a lot just then. It felt very unsettling. This is a traditional Malay song that has its roots in the countryside, which has resisted the relentless change that has taken place in the cities. It's reinterpreted here by a brilliant young vocalist, and feels haunting yet fresh. Yet another old Chinese love song by Yao Lee, a superstar of her time who's fallen out of fashion. Tsai Ming-liang used one of her songs to close his masterpiece Goodbye Dragon Inn, one of the most atmospheric endings in modern Asian cinema.